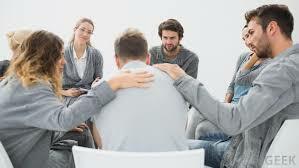 Ayre Counseling provides several specialized and focused therapy groups. We believe that by connecting with others who are experiencing similar issues, you can heal and grow through your connection with others. Knowing you are not alone, and that others have addressed and overcome their specific issue can be a very powerful and motivating force in the change process. At Ayre Counseling, we keep all groups between 6-10 patients to promote an intimate atmosphere and encourage equal participation among its members. Group counseling offers a unique opportunity for sharing, learning and personal growth in an environment that is encouraging and positive. Many individuals who attend groups at Ayre Counseling also receive individual counseling, however, that is not a requirement. Some individuals receive individual counseling through a separate professional practice but attend a specialty group through Ayre Counseling. Please feel free to contact us directly if you have questions about the group or its availability for new members. To learn more about groups at Ayre Counseling and find out what group is best for you, call us today, or just fill out the contact form and press Send.